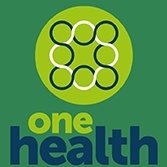 When we talk about One Health, just what do we mean? On its own, the phrase can be interpreted to mean many things, but for what we do in the biotechnology field, it encompasses human and animal health and disease, along with related environmental and epidemiological components. Essentially, it defines how people and animals interact with, and within, our shared environments, especially in reference to health and developing treatments for diseases.